This is a sponsored post written on behalf of Cost Plus World Market. As always all opinions are my own. We love breakfast in our home. It’s definitely a necessity in our home. When I’m entertaining during the holidays I make a big breakfast every single day. No questions asked. It’s just our thing. My friends at World Market asked me to come up with a Christmas morning breakfast recipe. I love making french toast casserole’s yet I’ve never really shared. 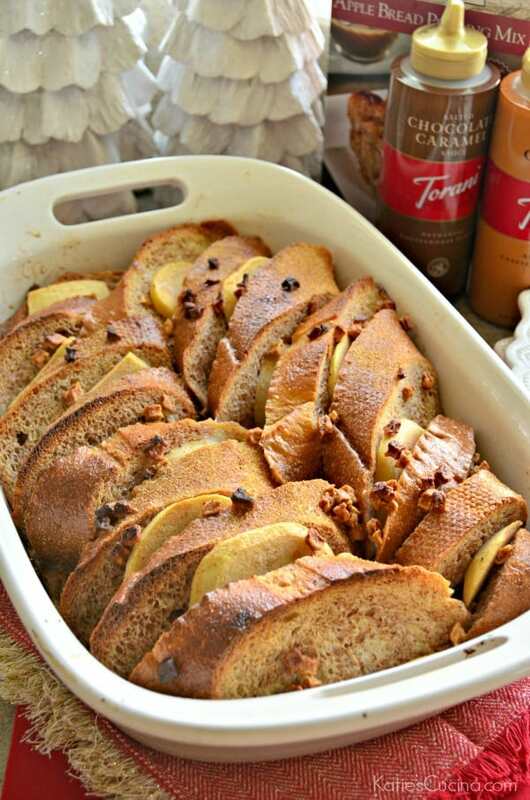 So today I’m sharing my recipe for Carmel Apple French Toast Casserole. I used Sof’ella Apple Bread Pudding Mix as my base and added in whole milk and eggs. I quickly soaked the 4-day old french bread in the mixture and then I peeled and soaked the apples in it as well. I layered the apples in between the thick slices of french bread. And then off it went to bake in the oven for 50 minutes! 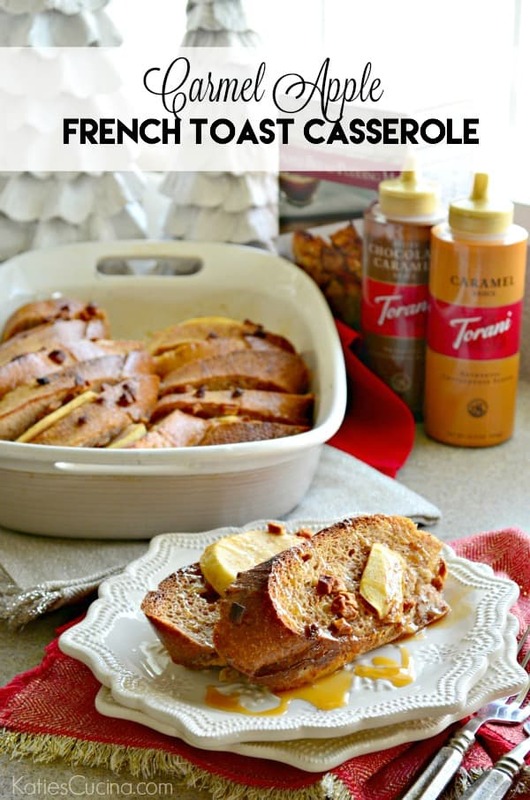 Once the Carmel Apple French Toast Casserole is done baking, begin to dish out the casserole, slice-by-slice, and then drizzle with either Torani Caramel Sauce or if you really want to be indulgent you can use Torani Salted Chocolate Caramel Sauce! If you have freshly whipped cream on hand you can add a big fat dollop of it on top of the french toast casserole slices! For the full ingredient list and recipe please visit the World Market Blog!